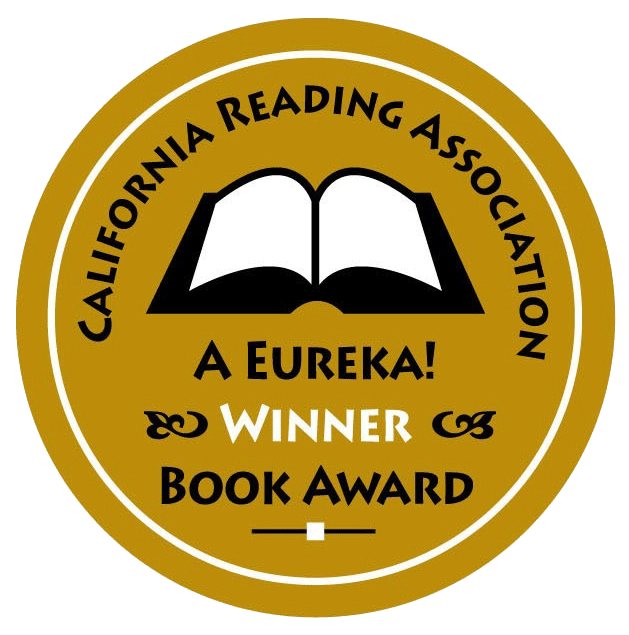 Bank Street “Cook Prize” for best STEM book in the U.S. 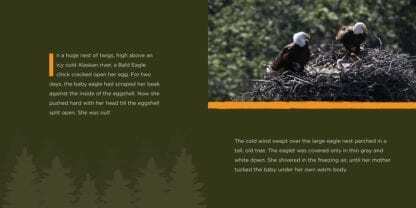 The inspiring story of a Bald Eagle and her 3D-printed prosthetic beak. 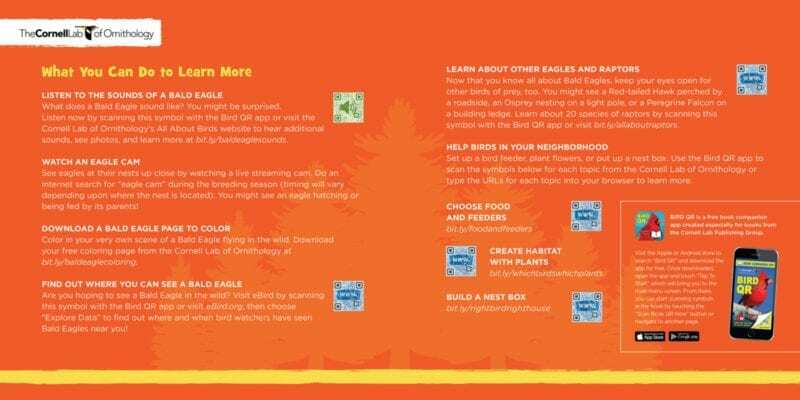 The release of BEAUTY AND THE BEAK was timed for 2017 to celebrate the 50th anniversary of the Bald Eagle being named an endangered species and the 10th anniversary of the Bald Eagle being removed from the endangered and threatened species list. 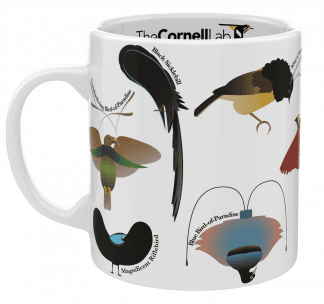 Explore 16 pages of back matter about the Bald Eagle, our national bird and symbol, including a special section from the Cornell Lab of Ornithology. 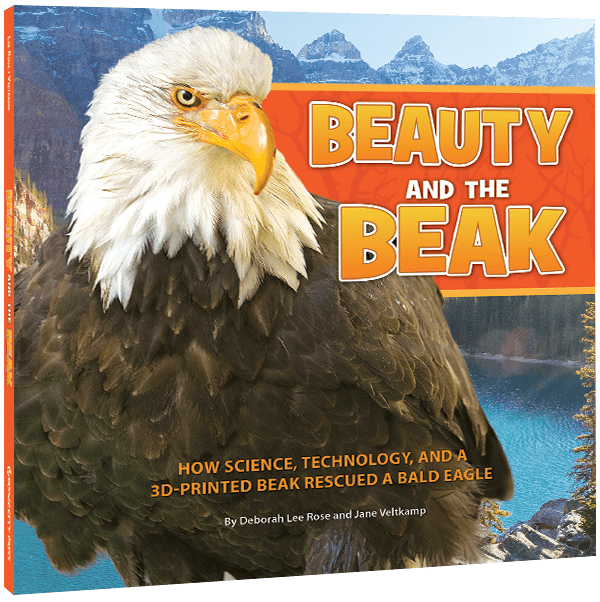 BEAUTY AND THE BEAK is a rare STEAM entry, speaking to topics of science, technology, engineering, arts and mathematics (with a little history thrown in too). Rescued in Alaska, Beauty is brought by raptor biologist Janie Veltkamp to her Birds of Prey Northwest raptor center in Idaho. Jane knows Beauty needs a new beak if she is to survive. 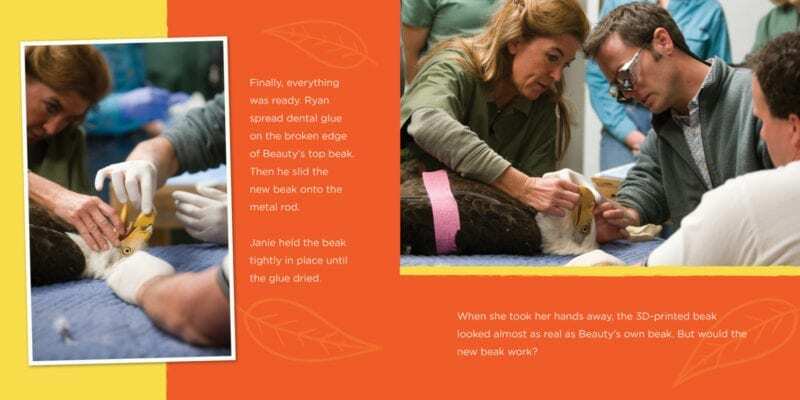 Janie teams up with engineer Nate Calvin to design a prosthetic beak and make it with a 3D printer. After many months of design, testing, and retesting—and three hours of intense beak surgery—Beauty’s new beak is finally attached. But will it work? 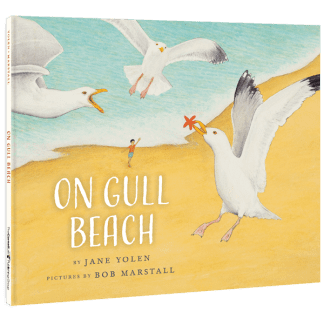 Beauty’s inspiring, true story, told here with stunning photographs, has captured the hearts of both children and adults ever since her pioneering surgery. She is a symbol of how human innovation is combining science, engineering, and technology to offer hope for animals (as well as humans) challenged by the loss of a limb or other body part from injury or disease. 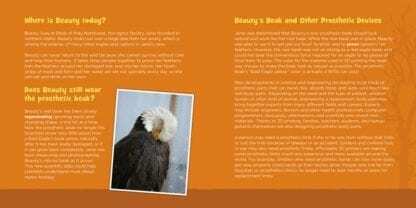 Beauty and the Beak is compatible with Bird QR for readers to hear bald eagle sounds and access other content. Deborah Lee Rose is an internationally published, award-winning author of children’s books including the new Scientists Get Dressed (Persnickety Press, September 2019), Beauty and the Beak, the alphabet classic Into the A,B,Sea, the humorous counting classics The Twelve Days of Kindergarten and The Twelve Days of Winter, Jimmy the Joey, and more. 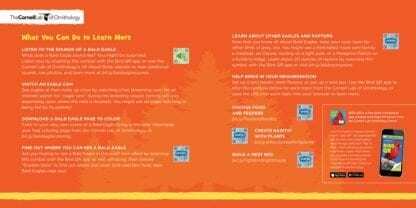 Deborah helped create and directed communications for the ALA/AASL honored STEM activity website Howtosmile.org. 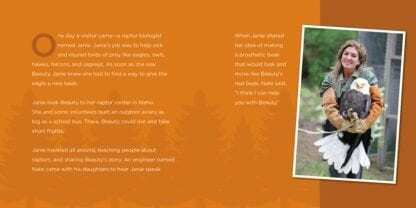 She was also Director of Communications for Lindsay Wildlife Experience, which includes the first wildlife hospital in the U.S. Visit deborahleerose.com. Janie Veltkamp is a raptor biologist and rehabilitator, wildlife educator, trained nurse, and master falconer. She has lifetime care of Beauty the Bald Eagle and led the engineering team who made Beauty’s prosthetic beak. 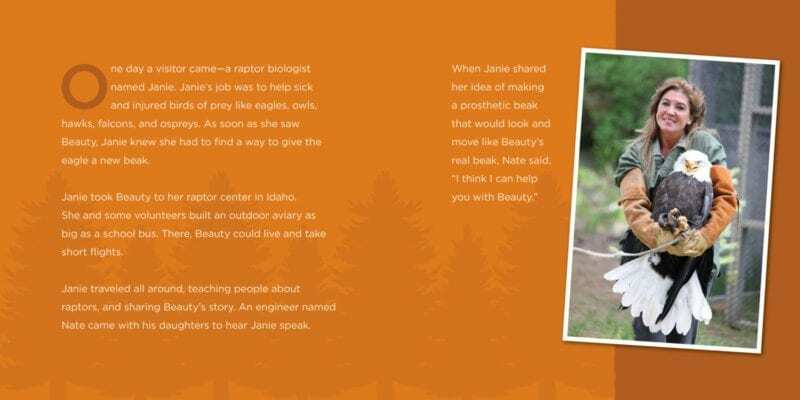 Jane is founding director of Birds of Prey Northwest, in Idaho, which educates the public about raptor conservation, including through live raptor programs, and has provided medical treatment and rehabilitation to thousands of injured birds of prey. 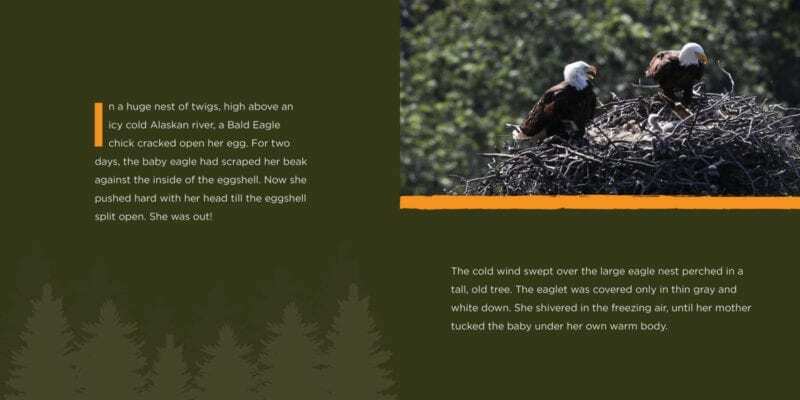 She is the eagle expert for the Coeur d’Alene Tribe’s Native American Aviaries. Visit birdsofpreynorthwest.org. 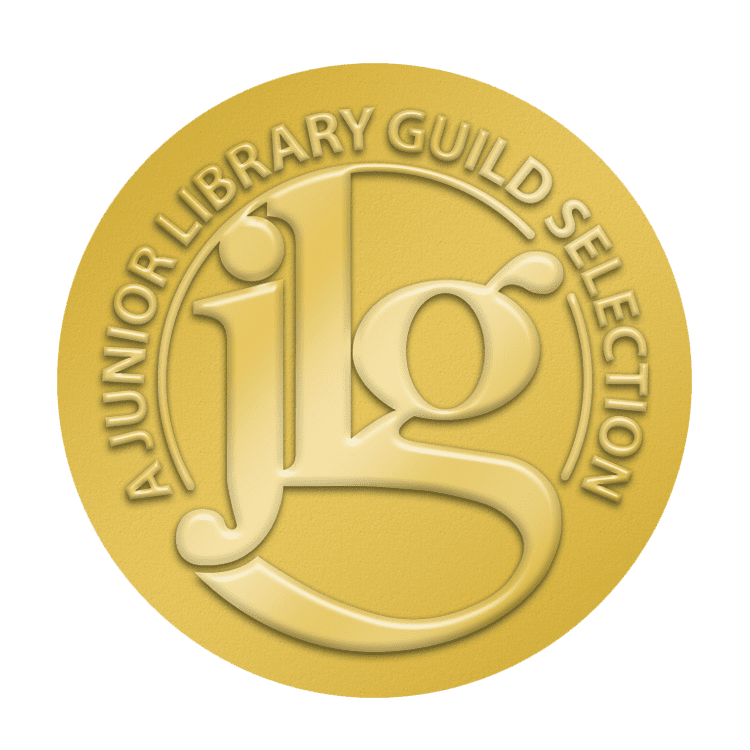 Librarians and educators can contact coauthor Jane Veltkamp via her raptor center website (www.birdsofpreynorthwest.org) to purchase a life-size, 3D-printed model of Beauty’s prosthetic beak and/or the STL file for 3D printing a life-size model of the beak. BEAUTY AND THE BEAK is a beautiful and content-rich book that can be used for STEM, STEAM and E-STEM. Beauty and the Beak Educational Guide Available Now!